Brooks Brothers neck tie. A beautifully made woven silk tie featuring a repeating graphic of our iconic Colonnade. 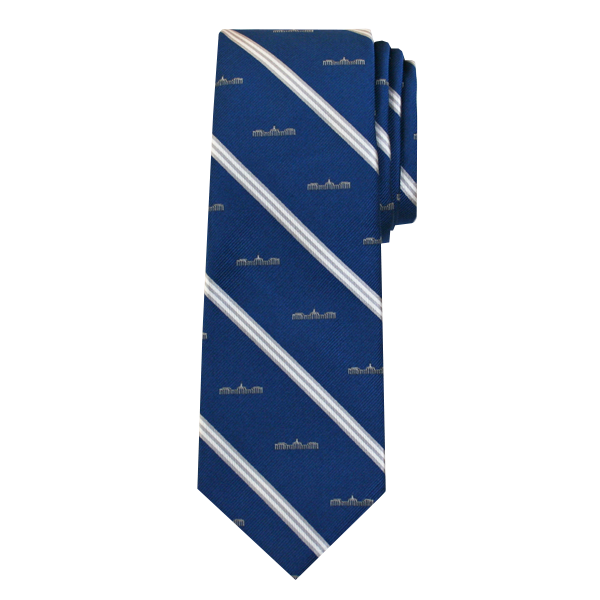 Navy blue tie patterned with silver colonnade and stripes. Available in extra-long. 100% silk.